Hope is a difficult thing. And all too often, my hope seems lost. I see it in my daughter too. It breaks a heart to lose hope, to see the one you love lose hope. Our human nature hopes in things to come-circumstances. We hope for new jobs, new provisions, new friends, new opportunities. We want our circumstances to change, believing our lives will change. And there is truth in that. The hope of the human nature breeds dreams. We picture our circumstances or the circumstances of others to be different, better. But human nature hope can deceive. Circumstances don’t always change. The new job never comes. The loved one dies. The friendship is lost. Striving doesn’t change the circumstance and we lose hope. In those moments I doubt. I wonder if I’ve made all the wrong choices, decisions. I wonder what I could have done or do differently. In those moments I feel the weight of past mistakes, the weight of a world not right. I see it in my daughter too. The struggling to hope in a future. The struggling to want something different and yet having no idea how to make that happen, to get there. The struggling to look past the seemingly perfect lives of others, the successes and believe there is more for me. When hope gets difficult, it seems I am only reminded of all the hurts, the injustices, the losses. Hope is a difficult thing. And when hope in circumstances fails me, when all my striving, my dreaming, my planning seem to get me no where, I realize hope has to be something different. I am reminded he bore my sin at the cross, my pain he takes upon himself each time I come to him. I am reminded his death and resurrection offers hope in a new day, a new life that is mine at his appointed time. While may circumstances may not change, his love never changes, the work he did at the cross remains forever, the place he has prepared for me endures. I must teach the daughter to hope-not in circumstances, but in him, her heavenly father. I must point her to the cross, the only place where life is changed. She and I must learn together to quit looking around and look up. 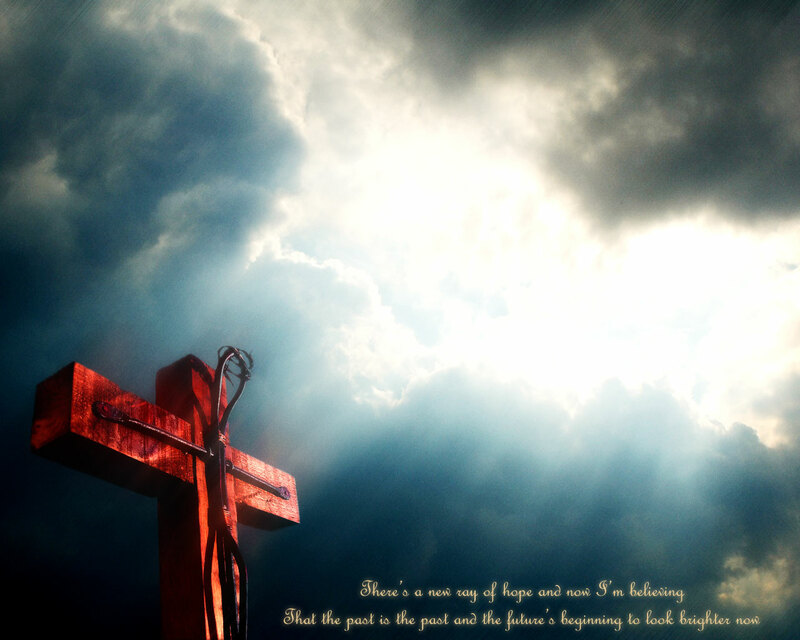 When hope is lost, it can only be found again at the foot of the cross. Thanks for this good word this morning. Any hope outside of hope in the Gospel is false hope. Thanks for sharing! Thank you. It has been a rough two weeks homeschooling a child who seems to have lost her dreams. Thankful for the cross.